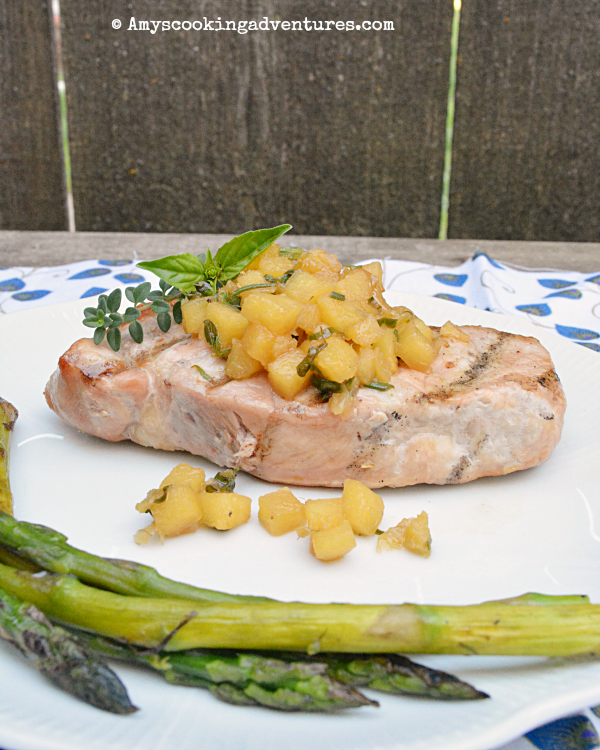 Each year during apple week, I challenge myself to make at least 1 savory apple recipe. 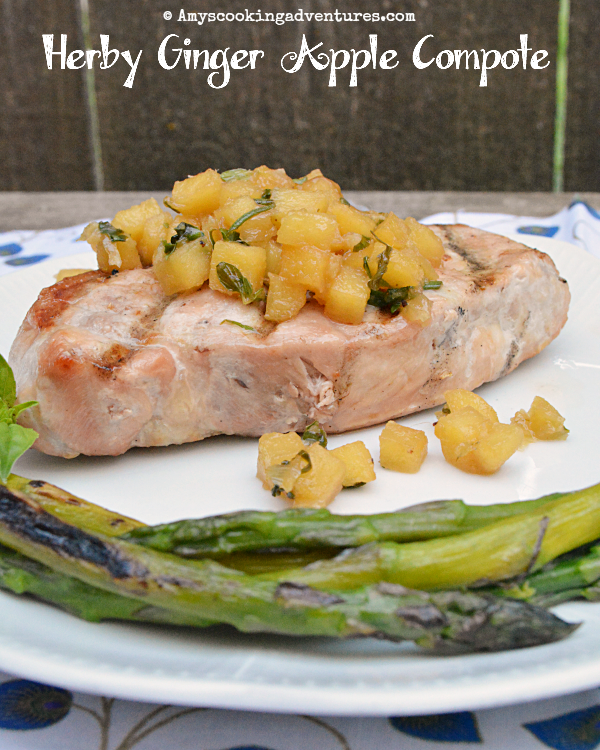 And without fail, I end up pairing apples with pork! The flavors just go so well together! Today’s recipe is sponsored by Swiss Diamond Cookware. Swiss Diamond was an amazingly generous sponsor, sending me one of their lidded nonstick sauté pans. This pan is a work horse. Completely not stick AND it can go in the oven!! Say What?!? So you see why I had to make pork for apple week! The real key here is to not overcook to pork while balancing out the sweetness of the apples with enough savory components without going overboard. It’s important, in my opinion, to cute those apples nice and small, so they cook through evenly and so you get a nice scoop of tasty apples with each bite of pork! Melt the butter in a sauté pan over medium heat. Add the apples and onions and cook, stirring frequently until they begin to caramelize. Add the garlic and cook until fragrant. Reduce heat to medium low. Stir in the remaining ingredients and simmer until flavors are melded and sauce is thickened. Love all the herbs you included in this compote Amy.